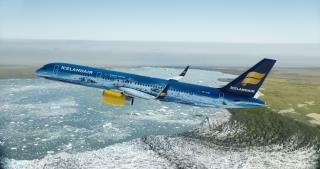 (Newser) – Icelandair was supposed to fly its first flight from Philadelphia to Reykjavik overnight. Instead, the flight ended up being diverted to Boston early Wednesday thanks to what the airline is calling an "unusual" smell, ABC News reports. Pilots decided to land after they couldn't determine what was causing the smell, which NBC Philadelphia reports was also described as smelling like rubber. The flight, which departed Tuesday night, was over Canada at the time. The mayors of both cities were onboard the flight, with Philadelphia's mayor's office issuing a statement calling the incident a "significant inconvenience" and "obviously very out of the ordinary." The cause of the 'smell of rubber' was later traced to a key engine component having been wound too tight and friction with the propeller hardware.